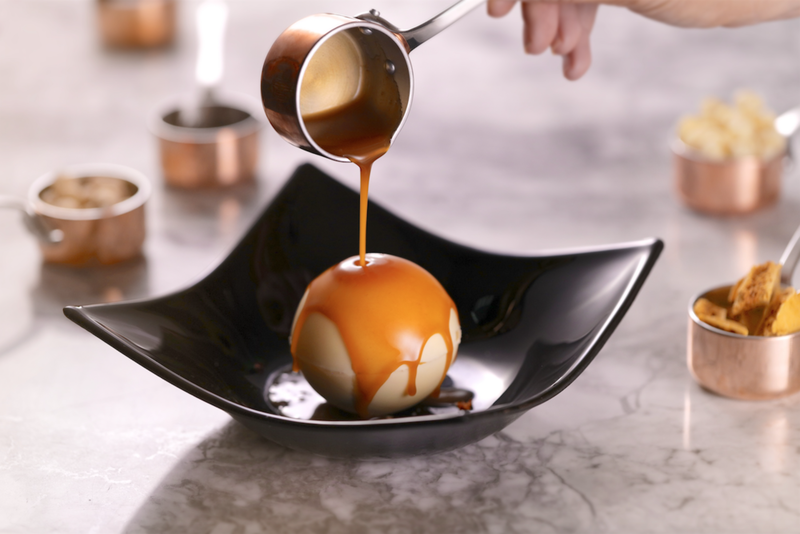 Douse PF Chang’s signature White Chocolate Bomb (£7) in hot toffee sauce and watch the white chocolate shell melt away to reveal a whole host of goodies: chocolate soil, honeycomb, popping candy, hazelnuts, cocoa nibs and creamy hazelnut ice cream. This is a chocoholic’s dream. Famous for its freakshakes, Maxwell’s Bar & Grill in the heart of Covent Garden presents its Freakshake From Mars (£8.95) for all chocolate lovers – a mouthwatering blend of chocolate, caramel and Mars topped with plenty of whipped cream, caramel bits and crushed Mars. For an extra alcoholic kick, opt for the Maltesertini or Frapp-Aero cocktails (both £6.95). Go on, do it for the gram. If you ask us, chocolates, truffles and crème de cacao should all be essential parts of a balanced diet. To celebrate Chocolate Week, The House of Song is throwing out the bulgur wheat in favour of sweeter treats and offering 2-for-1 on the following selected chocolate cocktails (£10 for 2) from 15 – 19 October. chocolate sprinkles, foam banana, cherry lips and caramel topping. Celebrate Chocolate Week in style at Pomona’s in Notting Hill and indulge in their delicious new ‘Bounty’ cocktail. Created by talented bar manager Arunas Paulauskas, enjoy this enchanting concoction of bounty chocolate washed rum, coconut syrup and coconut yoghurt (£10). Brand-new Soho hotspot Old Compton Brasserie is calling in Chocolate Week with its Chocolate Orange Mousse (£9), served with mango & lime sorbet for a bit of zing on the side. Even better news, guests can enjoy this chocolatey delight guilt-free, as it is vegan and plant-based. Dished up in quirky surrounds and washed down with a cool tipple or two from the Talented Mr Fox.